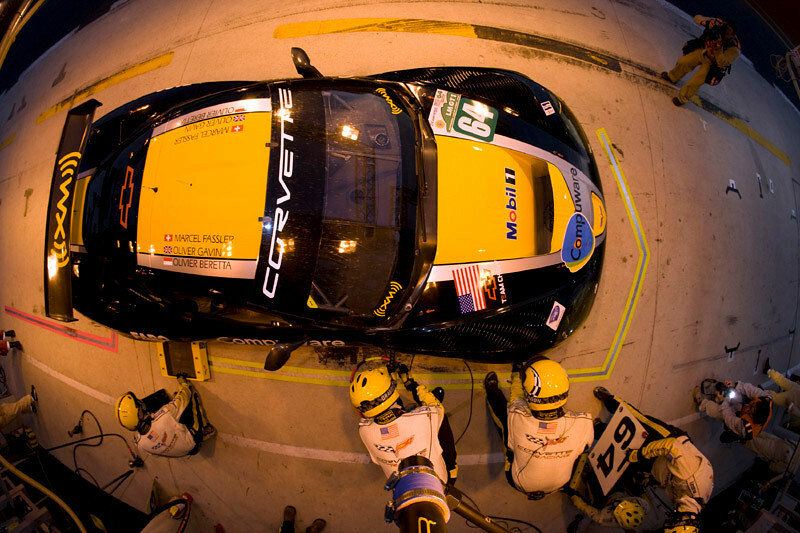 Noted photographer, Richard Prince, has worked under contract to GM Racing for many years, documenting the history of the Corvette Racing team...it's cars, drivers, and team members. Richard’s photography is posted to the GM Racing website for "editorial" use only. These photos cover both North America and European racing efforts. This album presents mostly his American LeMans Series collection for GT1 cars (1999-2009). Corvette Racing, 24 Hours of Le Mans, June 13-14, 2009, C6.R #63 driven by Johnny O'Connell, Jan Magnussen, and Antonio Garcia, C6.R #64 driven by Oliver Gavin, Olivier Beretta, and Marcel Fassler (photo credit Richard Prince/GM Racing).